GREEN BAY, Wis. (AP) — In dealing Ha Ha Clinton-Dix and Ty Montgomery, the Green Bay Packers traded away two players who spoke in varying degrees in recent weeks about their respective futures with the team. 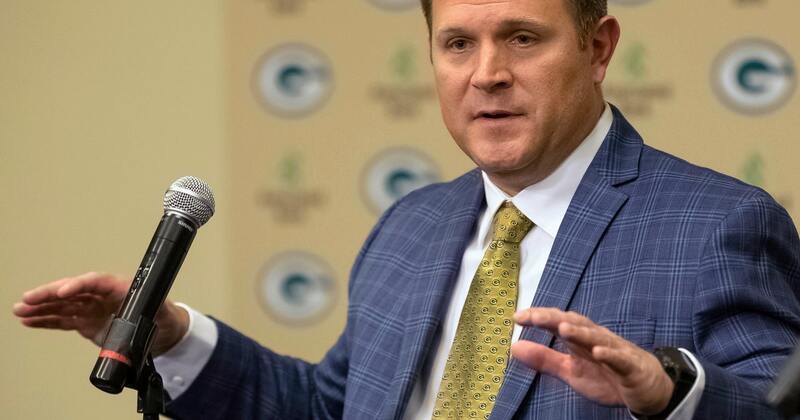 What happens on the field always comes first, general manager Brian Gutekunst said Wednesday, though other factors aren’t ignored either. “So I think you take everything into consideration when you make these kinds of decisions,” Gutekunst said before practice. “But performance comes first. That’s always kind of the major factor in these decisions. Clinton-Dix, a starting safety, went to the Washington Redskins in exchange for a 2019 fourth-round pick. Playing under the fifth-year option of his rookie contract, Clinton-Dix is eligible for free agency this offseason. Montgomery, a fourth-year running back, was traded to the Baltimore Ravens for a seventh-round pick in 2020. He moves on two days after fumbling a kickoff return with about two minutes left in a 29-27 loss to the Los Angeles Rams on Sunday after being told by coaches to take a touchback if the kick went into the end zone. The turnover cost the Packers a chance to drive for a potential winning score. Montgomery seemed uncertain about his future on Monday. He lost snaps in the Rams game after Aaron Jones was elevated to starter. Montgomery said that he made a “split-second decision” in taking the ball out on the kick return because he did not want to take a chance of putting the game in the hands of officials. He also spoke Monday about criticism from an anonymous player that came up in an NFL.com story , adding that he wanted that player to talk to him. Now what had been a three-man backfield is down to Jones and Jamaal Williams. Jones is averaging 6.2 yards a carry. McCarthy thanked Montgomery and Clinton-Dix for their contributions and wished them the best. He said that they represented the Packers “very well” during their tenures. Clinton-Dix led the Packers with three interceptions, giving him 14 over 71 regular-season games in Green Bay, including 65 starts. Still, the safety position was mired by inconsistent play. Clinton-Dix also talked about his future in an interview on Oct. 10 with the Wisconsin State-Journal . “Right now, I’m playing each and every game like it’s my last. I don’t think I’m going to be here next year,” Clinton-Dix said then. The moves didn’t signify the Packers were already looking ahead to next year, he added. At 3-3-1, the Packers are still firmly in the muddled NFC North race with a tough game at New England on Sunday night. “I don’t necessarily think there’s a message it sends to the locker room,” Gutekunst said. “I think the decisions that we make are always in the best interest of our team, not only in the short term but the long term, as well. Receiver Davante Adams said the deals shouldn’t be taken personally in the locker room. NOTES: RB Tra Carson was added to the active roster from the practice squad, while RB Lavon Coleman was added to the practice squad. Carson was signed to the practice squad on Oct. 9 after being waived/injured by the Bengals in Week 2. The second-year player was signed by the Bengals as undrafted free agent out of Texas A&M in 2016.